This story begins as two men acquaint themselves during a layover at the airport. One man is intrigued by the other man's tale, a story of his life. Gabriel, world traveler, white water rafter and lover of The River, was dealt a tragic hand by The River at the young age of five. 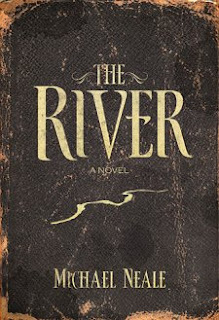 It takes years for him to conquer his fears, return to The River and find healing and a new life. This is a very captivating story and uses the analogy of The River as a reference to God (as far as I could understand). The characters were easy to follow and the ending has an unexpected twist. I really enjoyed the book, and am sure most that read this book will enjoy it also. The story itself is very good. At the same time, I was a little disillusioned, maybe I was looking too deep. Throughout the book, It seemed like it was leading up to a climax, in which the author would then reveal how, The River, was a reference to God and healing for our emotional pain comes from God who knows all and has a purpose for all things that happen to us. There was also a part of the story that could very well have been used as a tool of witness to the sacrifice Jesus paid on the cross with his death. But direct reference to God or the Bible in this book is slim to none. It bothered me. I did do a little research to find out what this author actually believes. Below is a link to one of the websites related to this book. It does seem to have some insight as to what the author may have been attempting to convey with his book. The story itself though is very much worth the read! You can also visit the authors website HERE. I received this book from the Book Sneeze program for the purpose of review. All opinions are my own! If you have read this book, I would love to hear what your thoughts were.